Indications: Prescribed to treat circulatory conditions. Summary Recommendations: Propranolol is prescribed for heart conditions like high blood pressure, tremors and chest pain. The drug can also be prescribed for other conditions as your doctor sees fit. Common names for propranolol include Inderal, InnoPran and Inderal. General Precautions: Patients with asthma, low heart rate and certain heart conditions should not take propranolol. Some patients scheduled for surgery will be taken off the drugs for at least two weeks prior to surgery. It is extremely important to tell your doctor you are taking propranolol before the surgery. You should not stop taking propranolol if you find out you’re pregnant. Your dose may have to be scaled down before changing to another medication to prevent side effects or recurrence of certain conditions. Propranolol will likely help you feel better within a short time, but that does not mean the medication has cured your high blood pressure or circulatory condition. You must continue taking the medication as instructed even after symptoms resolve. The dosing instructions for propranolol are detailed. You must take the medication every day at the same time in the same way. For instance, if you take the medication after eating breakfast every morning, don’t change the time of day and always eat before. If you forget to take your propranolol on time, take the missed dose as soon as you remember unless the next dose is within four hours (short-term therapy) or eight hours (long-term therapy). Effect While Trying to Conceive: The drug is not reported to affect fertility. 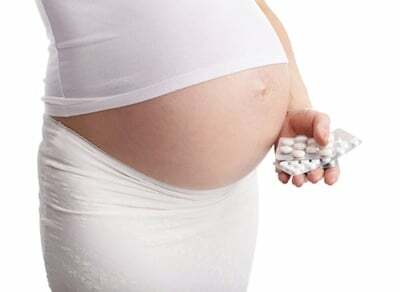 Effects on Pregnancy: There have been reported fetal birth defects in patients who’ve taken propranolol while pregnant. Most of the birth defects are thought to be associated with other medical conditions present during pregnancy, but there is a threat. This medication should only be used be pregnant women if no other medication can offer the same benefits. Safe During Breastfeeding: Propranolol passes into breast milk in high amounts. While no negative reports have been filed, it is suggested that breastfeeding mothers wait at least three hours after taking the medication to breastfeed. If this is not an option, you’ll need to discuss use of the medication with your physician to find a new medication or switch to bottle feeding.